Two days ago, I was invited in one of the most popular Tunisian radio stations “Express Fm” to speak about a first time event in Tunisia, Women Hack Day. As its name suggests, it’s for every woman who’s interested in coding. You may ask why is it just for women? Well, just keep reading and you will find the answer. Let’s start with a story. I remember when I was eager to try a Hackathon during my university studies because I like being challenged. As usual, I want to discover my own limits and push them even further. Fortunately, the opportunity presented itself with “Google INSAT Club”, and I didn’t think twice. So, I was looking for my colleagues, especially girls, to compete with me because (as you probably know) teaming up with friends creates a more challenging environment and of course a more cozy one. I didn’t think, at that time, that it would be hard to find a team but it was! Maybe girls don’t want to stay a whole night outdoors or maybe it’s just scary for them..Anyway, I finally decided to compete with what’s available: Boys. To my big surprise, when I made it to the convened place, I discovered that I actually was the only girl participating among about 25 boys! I think you got the answer now, didn’t you? Similar accounts are made by different people in Tech, among them, Access Now, a digital rights organization, Netlinks, a student association and ArabWIC (Arab Women In Computing). So, it was decided to break the ice and create an opportunity for girls, following computer science studies, to show their skills in coding through Women Hack Day, on November , 28th in INSAT. We believe that women are giving much to the World of Technology and Computing and we are committed to the success of this event which is not only a Hackathon but aslo an opportunity to meet Tunisian Women with bright success stories. In order to present the event, I had the pleasure of speaking about it on Express Fm, as ArabWIC Tunisia Chapter Coordinator. It was my first time on radio and you know what? It felt great! Finally, I’m happy to share the link with you so that you can get more details about the event and the radio show: here. 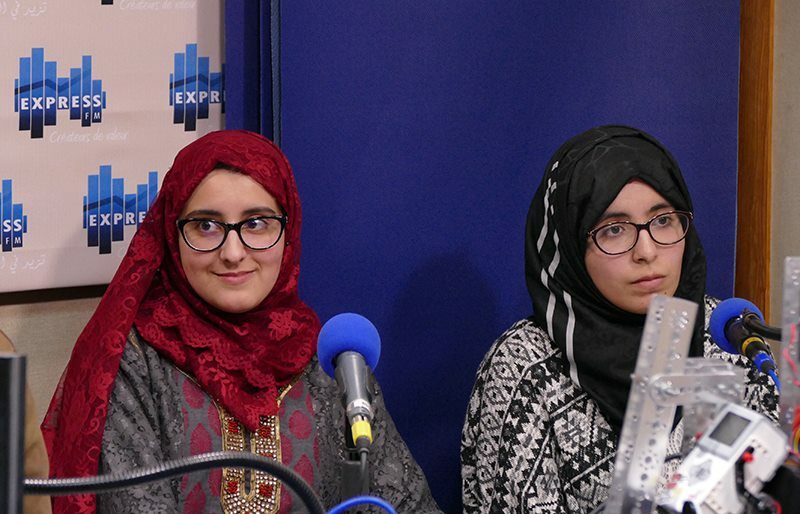 Me on the left, during the radio show “DATA” of Express Fm- 23/11/2015.